Before WordPress became popular, there were many people who didn’t believe it was the right option for their website. They claimed it only fit blog sites, that the code was not as optimized as custom made sites on Dot Net, or that is was not scalable. Similar claims are spoken today against using page builders. In this article, we are going to take a closer look at page builders for WordPress and view their potential beyond the fears of “clean code” zealots. What is a frontend page builder? 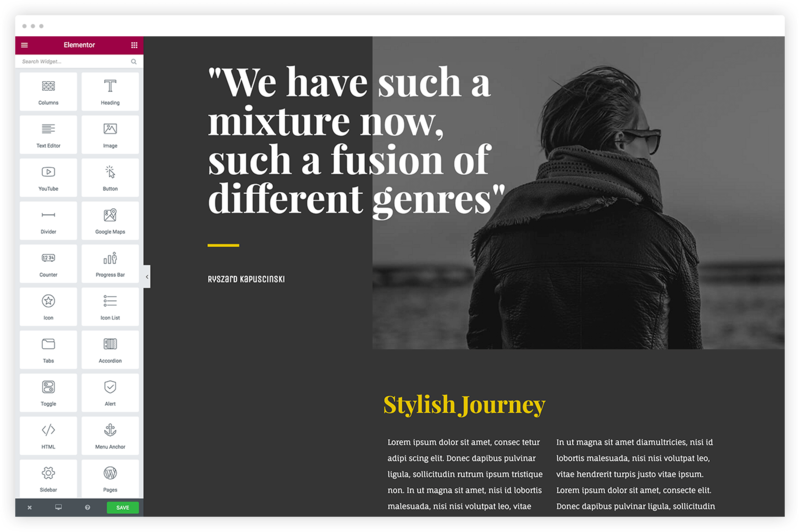 A page builder is a plugin that lets you design pages by dragging and dropping elements into the page, as opposed to using code to construct the HTML page. This saves a lot of time and effort because in the past the process of creating a designed page involved both a developer and a designer working together. Now you can reach the same interactive and complex page with no coding or photoshop skills. There are backend page builders, where you still edit the page on the backend and drag and drop placeholder widgets. There are also frontend page builders, where the design is done on the actual page while viewing it live. WordPress also has a visual editor, but it does not have real control over the layout and design of the page. 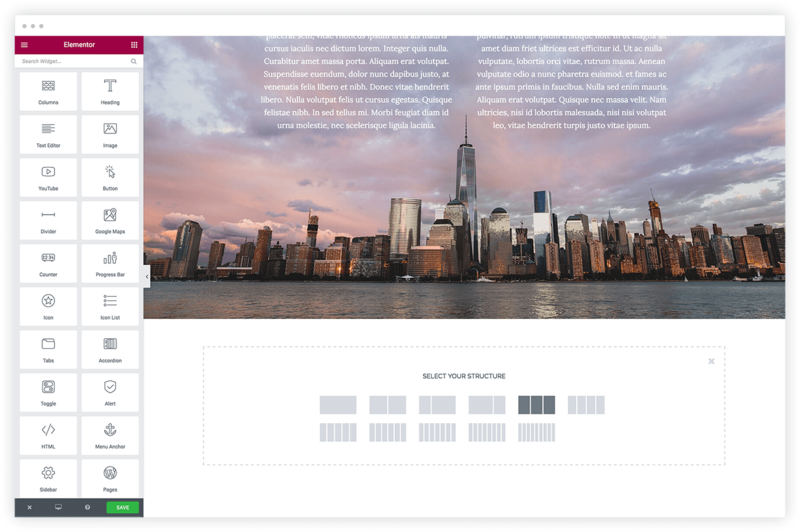 You can use page builders to create responsive pages, that are built on a grid. The main criticism page builders get is that the code you end up with that is behind the page does not compare with hard-coded pages. 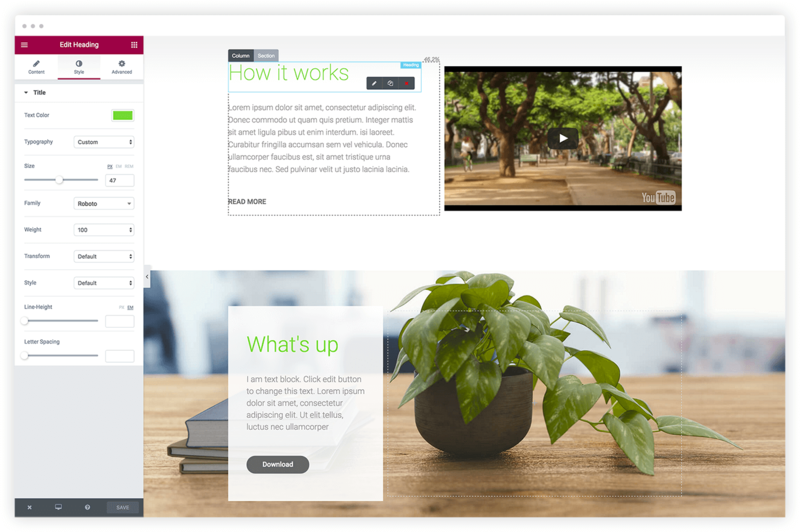 Why go with a page builder? The internet has changed in the last few years. There are now over a billion websites. When WordPress got started, back in 2003, there were only 40 million. This means an amazing growth in competition. Along with this competition came new advertising opportunities on Facebook, Twitter, Instagram etc. This change means site owners nowadays have to constantly update, change and improve their site as well as marketing efforts, to reach an audience whose standards are constantly on the rise. If you remember how even large brand websites looked back then, you’ll realize just how much the standards of web design have been raised. These days you have to keep updating your landing page, homepage, portfolio and every other page you have on your site, as well as keep adding newly designed pages to the mix, in order to keep with the competition. Page builders give designers the ability to reach a higher productivity of page designs, and no less important, allow their clients to continue their work and create and update their site by themselves. Fix the slow drag and drop. It’s so frustrating to drag and wait for the drop. With Elementor we implemented instant drag and drop. This sounds small but in fact once you try it there is no way you’ll ever accept waiting for the page to load after you drag a widget. Fix the customizability. Developers are constantly releasing page builders that only allow default settings of widgets. This is so frustrating. You add let’s say a testimonial widget to the page, and have no way to tweak it and change it whatsoever. With Elementor, we went the whole nine yards and allowed for amazing customization options, down to the pixel level. This allows for real flexibility in the design. You want to change the size of the text, the image, the distance between the image and the text? The design possibilities are endless. If you haven’t used page builders before, I urge you to try it out and see just how much time it saves you, and how much more you can involve your clients in the work process. 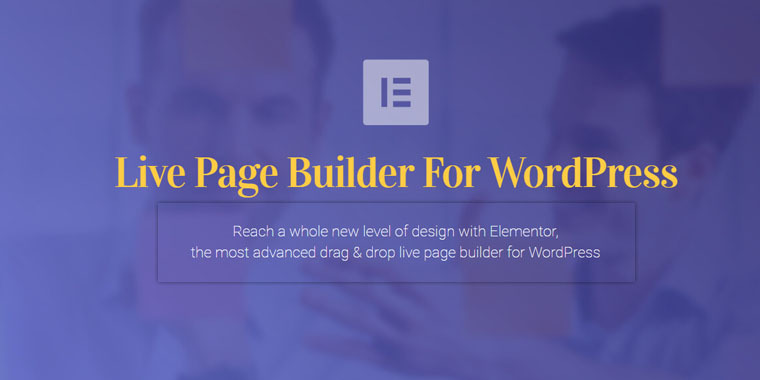 If you’re already a page builder enthusiast, start using Elementor, and see the difference.